Welcome to Top 5 and voting week! but we had some awesome Child Card entries to choose from. Thank you so much for putting my card in your top five :). It didn't feel right to vote for myself so I voted for Leah Ann Gast, love the Mickey Mouse theme, but love all the cards in the top five. Good luck everybody!! Oh WOW, so many gorgeous creations again, such a difficult choice to make. Every card is stunning but my vote goes for Claire's card. She took it a step further literally and I love that kind of creativity. I have vote one number one. She is beautiful colored and great shape of card. All the cards are wonderfull, great job ladies! But my vote goes to Mariska! very nice cards. i vote for Mariska. Wow thank you for choosing my card in the top 5. There are some stunning creations, well done to the other ladies. Great selection of cards - after a difficult decision I chose Happy Days, cos the card is fun and it is for a child after all! Have voted for Happy days gorgeous creation! I couldnt resist voting for the penguins lol. My nieces would have had a fit if I didnt, they collect penguins. All so very beautiful, too cute!! 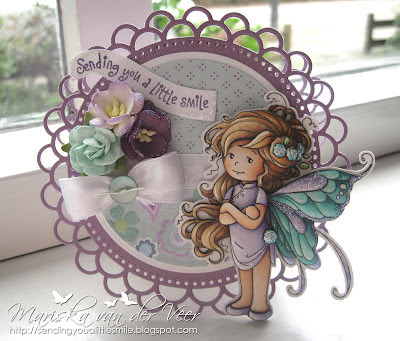 Thank you so much for choosing my card as one of the top 5. Very flattered. How much fun is this. Thank you for choosing my card as one of the top 5. It is a great honor!!!! 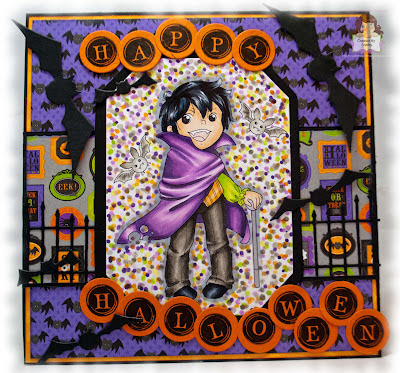 Love all the top cards chosen, but my vote goes to Mariska - her colouring and 3D paper piecing is just amazing! She has made that little Whimsy fairy come to life! Oh my, such beautiful creations, they are all winners to me. What a magnificent array of cards! I am flawed at all these ladies work...so hard to choose but I think Happy Days card with those little penguins & the fact that it is a step card does it for me! Congrats to you all! I'm later than I usually am to stop by but so glad I made it in time. Beautiful children's creations and a very tough vote again, best of luck to all! Fabulous cards everyone!! I vote for #133 Mariska! I love the colors and fabulous coloring!